One day this past week I had my friend Maggi over for lunch and a craft afternoon. 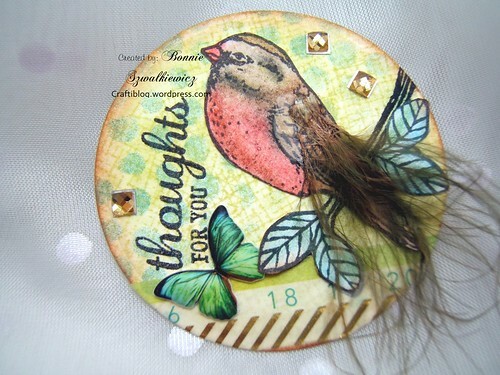 This is one of the projects that we tried…an ATC. 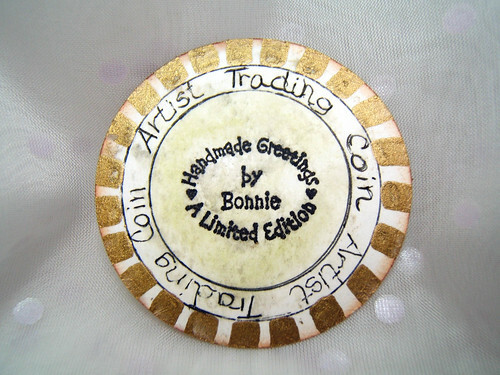 Not an artist trading card this time but an artist trading coin. Working in the round format was interesting! 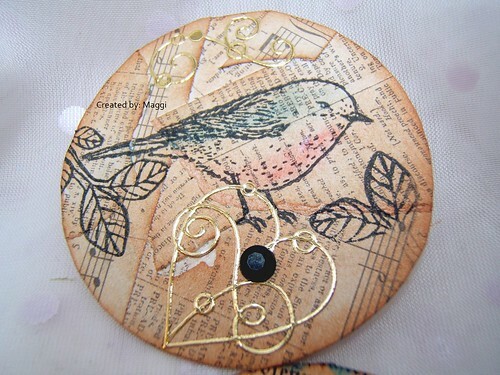 On my 1st coin, I collaged found items from a craft magazine that my friend Chrissy gave me. 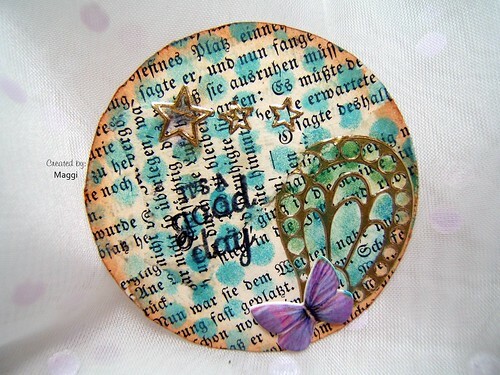 On my 2nd coin I tried sponging, stenciling and stamping. 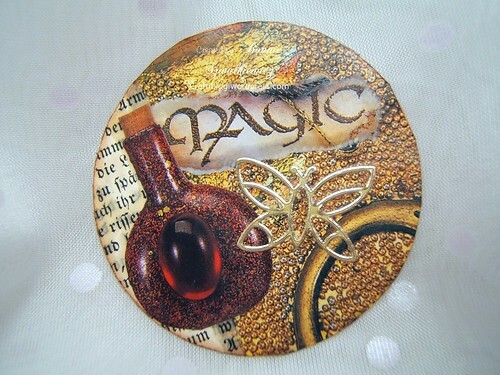 On the back of my coins I added this hand painted edging, my name and the title. What a great idea! 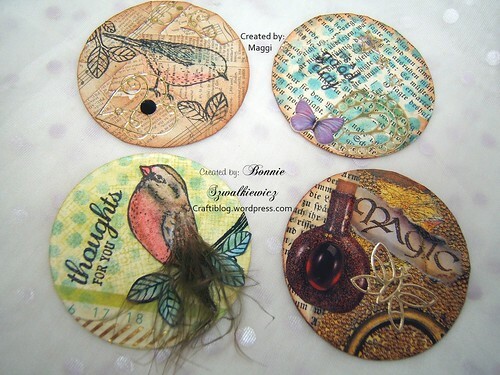 I haven’t done ATCs for a while and love this spin! You are so lucky to be able to get together w/Maggi – I’ve “known” her for many years from some Asian stamps lists we’ve been on together! Oops… but plan to make lots more. I think these may have started in the US…?